Titan Panel adds one or two information bars on the top and/or bottom of the screen and allows a framework for extensive plugin support. Details about the Titan Development Team can be found at the About subpage at their portal site. The ability to have 1 or 2 bars at the top and/or the bottom of your screen. Many builtin plugins that provide a great core set of features. Easy to use menus and options to change features on the fly. Fully supported plugin system. All plugins on the bar are plug-n-play. Ability to utilize Data Broker plugins. Direct all issues and feature requests to the SourceForge Titan Panel Development Team page. Please read the included TitanPanelSetup-READ_ME_FIRST.txt file for any special instructions needed to use this version of Titan Panel. Please check the Titan Panel Portal for a list of recent issues. These will appear on the main page. If you are still having issues, please follow the instructions under Bug Reports above. A few very dedicated people have maintained Titan Panel over the years. They are in order of chronological responsibility: TitanMod, Dark Imakuni and Adsertor. The Titan Panel change history is available at the Titan Panel Portal site. You may also find the most recent release notes on our SourceForge Titan Panel Version History wiki page. I found after enabling/disabling addons for four hours that the last few updates to fishingbuddy is causing this. disable fishingbuddy and you will have a full right click menu. Fullscreen map still covered by Titan bars. That will do it. Blizzard changed the strata for the UIParent frame and it screwed everything up. The only way to resolve it was to force a strata change (which I did for two releases) but you probably missed both of those before I reverted the forced strata change. Last edited by HonorGoG : 01-05-19 at 11:04 AM. Any news about a fix to this addon? It's causing multiple errors. I am going to have to disable it until a fix is released...and I don't want to! New update didn't fix this! I did the cannon interface attack on a SoB +5 and it caused my actionbars to stop working! Caused a wipe and we missed the timer!!! This issue is still happening with new update. Does anyone know of a fix for it? I can't deal with this issue anymore. It causes constant in game deaths and /reload repeatedly. 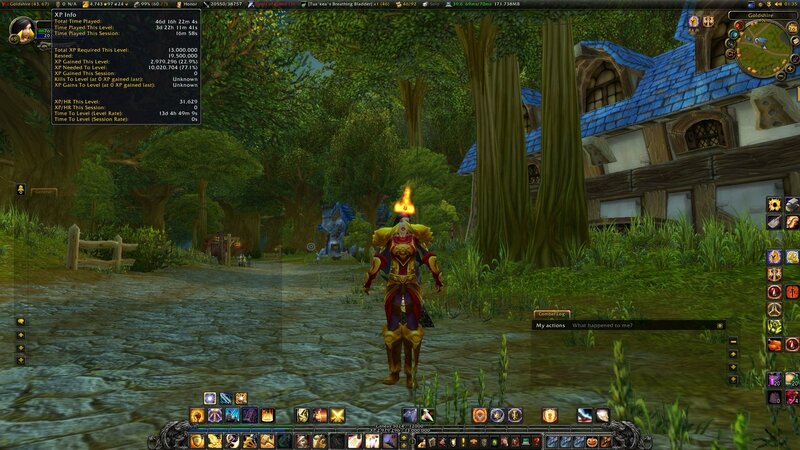 Really love this addon, but until it's fixed, I am removing it. New update seems to have fixed this issue. Last edited by jwilliam87 : 12-07-18 at 05:51 PM. Bars vanishing after pet battles. if there is a fix for this that I haven't seen let me know, oh and its happening on mutable alts. Please move panels to LOW strata. Or otherwise hide them then fullscreen map is open. I looked for an option like that but couldn't find it originally. Last edited by AnrDaemon : 10-22-18 at 05:16 AM. Getting a weird issue with the latest version (haven't verified in earlier releases) upon exiting a vehicle that changes your button bar when going back to your original spell bar all of the keyboard indicators on the icons are missing and they no longer animate (show casting/cooldowns etc.) and cannot be clicked with the mouse unless you "/reload UI" after exiting a vehicle. 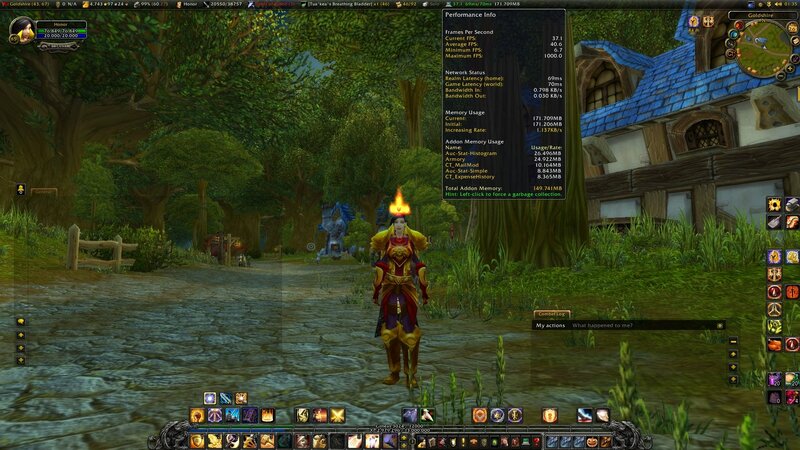 Titan Panel and Skada are the only two addons I have running in a fresh install of WoW BoA. This happens to me everytime I do the Tortollan world quests. Please fix! I reverted back to the old version. NOWHERE a changelog to be found so no place to start trouble shooting this. I am not using ANY form UI modification other than Titanpanel. Previus version (rollback) works perfectly fine. Please add somekind of changelog on the appropriate places. (wiki, change history, twitch). For the last couple of releases I've been having a problem with the top titan bar blocking access to the map window when it's maximized. For some reason I often hit the maximize button for the map window when trying to close the window. This opens the map full screen and the title bar controls can't be accessed. I have to pull up configuration and remove the top bar to restore the map size and then enable it again. It did work briefly a couple of releases back but then stopped again with the next release. BTW, the version that worked was TitanPanel-5.14.4.80000. Last edited by drwoods : 09-30-18 at 06:09 AM.